In Murphy’s Romance, James Garner rides a horse, wears a cowboy hat, and busts a hustler for cheating at cards. If you’re a classic TV fan, that’s probably all you need to hear. But echoes of Garner’s Western past are just one reason to love this underrated romantic comedy, directed by Martin Ritt and released by Columbia Pictures in 1985. A generation after Maverick and 15 years after Nichols, Garner is back in the saddle as Murphy, a feisty widower in a small desert town. He’s a popular dinner guest for local ladies of a certain age, but perennially unattached since his wife’s sudden death. Enter Emma (Sally Field), a thirty-something single mom still recovering from a divorce from her high school sweetheart. “I can hear the roar of something more,” Carole King sings over the opening credits, as Emma and her 12-year-old son Jake (Corey Haim) begin their new life in Arizona. Murphy and Emma meet cute at the local pharmacy, where he dispenses a Lemon Coca-Cola (price: 35 cents) and some free advice about nosy neighbors. Because this is a rom com, the two are thrust together again and again, with Murphy ending up as a volunteer ranch hand at Emma’s horse farm. Things get complicated when her ex-husband Bobby Jack (Brian Kerwin) shows up and their unlikely love triangle starts the whole town talking. Will Emma choose her son’s father or a man old enough to be hers? Six years after her Academy Award-winning portrayal of another working class single mother in Ritt’s Norma Rae, Field was at the peak of her name-above-the-title popularity. But she wasn’t just the star of Murphy’s Romance, she was also the producer. Her first job was to option Max Schott’s novel for adaptation by Harriet Frank, Jr. and Irving Ravetch, the Oscar-nominated screenwriters of Norma Rae. Her second was to fight for Garner. The studio wanted a big name like Marlon Brando. The writers lobbied for Paul Newman, Field’s leading man in Absence of Malice and the star of Hud (which Ritt directed and Frank and Ravetch wrote). But the producer stood her ground, refusing to make the movie without Garner. Field herself had overcome typecasting as a “TV actor,” the same brush used to paint Garner after his six-season run on The Rockford Files. She won the fight and Garner earned his first Oscar nomination. Cinematographer William A. Fraker also earned Academy accolades for the film, scoring his sixth and final nomination. Fraker’s work here is beautifully naturalistic, with most of the production taking place in real locations in and around Mesa, Arizona. From the desert-at-dawn opening sequence to a closing scene that bathes Field and Garner in soft twilight, Fraker’s photography is a vital component of the storytelling. But we have Ritt to thank for subtextual staging that adds emotional depth to an otherwise simple May-December tale. Emma, disappointed by life, frequently peers through dirty windows or smudged mirrors. Murphy, proud but pragmatic, takes two breaths to blow out birthday candles after refusing to reveal his age. Bobby Jack makes an ugly accusation about Murphy and Emma while sitting atop a garbage can. Ritt was in his 70s when he made Murphy’s Romance, and the veteran director’s thoughtful, measured execution is a perfect match for the story and the stars. Ritt also does a stellar job with a strong supporting cast. Two years before he broke out in The Lost Boys, Corey Haim gives an understated performance in a role that might have been stereotypically angsty. Brian Kerwin is surprisingly sympathetic as his father, in what is technically the villain role but never feels like it. And ubiquitous character actor Charles Lane, best known as Mr. Potter’s rent collector in It’s a Wonderful Life, is hilarious as a curmudgeon who reminds Murphy that love is ageless. There’s also a fun cameo with Carole King (who wrote a total of five songs for the film) as a county clerk, but have your pause button ready, because the notoriously shy singer spends most of the scene behind a screen. 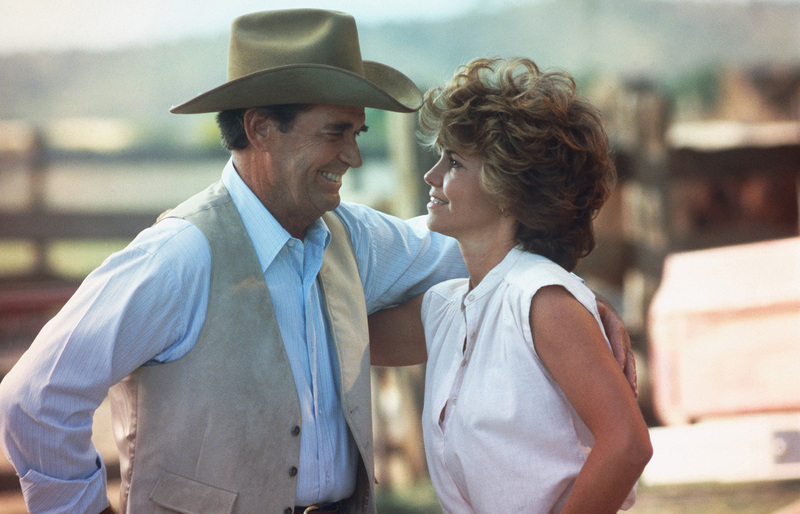 But a romantic comedy lives and dies on the chemistry of its leads, and Sally Field and James Garner have it to spare. Field is inspiring as a newly liberated woman in a town where a divorcee can’t get a loan without a man. And Garner is perfect as an older, wiser version of the rogue TV viewers loved for decades. Murphy’s Romance is a delightful relic of a time when small films for grown-up audiences still had a place in Hollywood. But be warned: the final scene is guaranteed to inspire a tear, whatever your age. To see when Murphy's Romance airs next, visit the schedule on the getTV site.